They say that it's our fault, that it's because of us these monsters have appeared. It seems like everywhere you go, the peasants and slaves have renewed boldness, spitting and cursing our presence regardless of consequences. They threaten to rebel, emboldened by their preoccupied masters' lack of focus--already Emerius has shed blood in its streets, quieting the protests. But with its leadership in disarray, too preoccupied with rumors of a weakening Archon, a new prospect of power, the commonfolk will not stay quiet. The Imperium is already weak, this endless century-long war having weathered the foundations on which we once stood. You'd think that those responsible for upholding our grand kingdom would take more action to put an end to this 'Blight', but instead the fools sit and squabble amongst themselves, playing their hands conservatively to protect their holds and properties. Some even incite more carnage, using the blood that has been spilled to fuel their snatches at more power. Thedas is already going to hell in a handbasket--who can get dragged down with the most to their name? Idiots, all of them. It doesn't matter who did what or why, all that matters is these . . . darkspawn must be stopped. Horrifying, vile creatures that taint everything they touch--even dragons! For the past one hundred years, one High Dragon, twisted and terrifying, has been seen . . . rallying these monsters, like a leader of some kind. Some people think that it is one of our beloved Gods, tainted to reveal His true nature by humanity's sins. I doubt that, and it doesn't really make a damned difference anyway, does it? Nor will we, as long as people expect the magisters to do something. The world is crumbling, the Imperium is falling apart, and all anyone can seem to do is curl up in a corner and cower. Even the stout and valorous dwarves of Kal-Sharok have withdrawn--although that's hardly their fault, since these creatures supposedly came from underground. Minrathous still stands, at least, but that's hardly saying anything, given it won't stand for much longer if this continues. Sure, we've managed some victories, kept some cities and outposts from being utterly ransacked, but the people are changed. Some wind up tainted, perhaps as an effect of the darkspawn as the rumors go, and become ghoulish and mad--leaving someone the sad choice of putting the miserable creature down. This Blight--as people have been calling it--must be stopped. Gods, dragons, magic, Fade, demons--whatever the source does not truly matter, and speculation and blame do not stop the fact that it is a disease that is destroying us. I will no longer wait for others to take action--it's high time someone took matters into their own hands, and that someone may as well be me. It's been almost a century since the Blight began, marked by the rise of a twisted Dragon people have taken to calling an Archdemon, and the world has slowly fallen into chaos as creatures known as the darkspawn ravage the lands. No one's certain where the darkspawn came from or what this 'Archdemon' really is, or even how to destroy them, for while the darkspawn fall easily enough to metal and magic, the Archdemon seems nigh immortal. With an immortal creature leading a horde apparently set on destroying Thedas, the people are thrown into a panic, and at the heart of the chaos is the Tevinter Imperium. Once a powerful kingdom ruled by blood magic that stood upon the backs of elvhen slaves, the Archdemon and its monstrous army are no doubt herald of its impending fall. Not only do slaves and peasants rebel as the darkspawn lay siege to the Imperium, the Imperium also suffers from within as magisters threaten civil war. Some wish to topple their incompetent Archon and claim the rule for themselves, others use the chaos to further their own agendas and try to 'settle' old disputes, and the rest who pledge their forces to fight the darkspawn are simply too few. But to the east, in the port-city of Qarinus where the darkspawn assaults are fewer, rumors of a strange woman looking for aid circulate. The past several weeks, as the locals will tell you, she has been going around, asking for volunteers to aid her in defeating the Blight. She claims to know a way to put a stop to it, and demands only that those who would help her be strong in their convictions. Be they slaves, Soporati, Laetans, even rebels--she calls for aid from all. But does she really know how to stop the Blight? And how can one small group possibly hope to change the world? Elf-blooded are fairly common, though frowned upon. Dwarf-blooded are rarer, but not unheard of. Dwarves are also more virile than in Origins. Kossith not yet discovered--had one settlement in the Korcari Wilds before being wiped out during the Blight. Worship of the Old Gods is in rapid decline, and practitioners are met with mixed reactions. 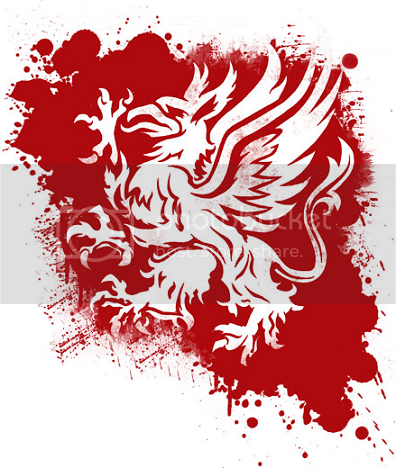 Chantry has not yet been founded, and thus templars do not exist. Circles do, though. Blood magic is prevalent almost everywhere. Most, if not all mages, at least know the basics. Reavers are also fairly common. Somniari exist, albeit still rare. Their association with Archon Thalsian and thus the Old Gods have increased hostility towards them, in some cases even resulting in purging. Most, though not all thaigs have fallen. Kal-Sharok maintains minimal contact with the surface. Legion of the Dead is not yet founded. This is an idea I've had in my head for awhile now, and that I've been dying to play out. I originally intended to play it out as a story for the tabletop DA game, but I couldn't get my hands on the books I needed and then later moved to an area where tabletop gaming is virtually unheard of (the horror!). However, I still think the story has great potential, and would love to roleplay it out in one form or another, so I figure why not roleplay it here? Anyone is welcome to join, even if you haven't played the games, and I'm more than happy to provide information wherever needed. Most of the info here is based on heavy research into the otherwise minimal descriptions of Dragon Age history, and as such is taken with a lot of liberties. I believe most of it is accurate, although if someone else equally familiar with Thedosian history would like to provide advice and corrections where they're needed, it's certainly not unwelcome. Given that this is set during a time period not officially expanded on in-canon, there will be plenty of room to flex ideas--after all, given Thedas' history, much knowledge of magic, Arlathan, dwarves, the thaigs, and so much more was lost, especially after the fall of the Imperium. And since this takes place while the Imperium still retains far more power than the Imperium in Origins, it is safe to assume that much more knowledge is still to be had.